FOLLOWING AN acclaimed tour last year, Decadent Theatre Company return to the Town Hall Theatre, with its staging of Conor McPherson’s The Weir, from Monday February 13 to Friday 17 - excluding Tuesday 14, when the company relocate to Tigh Neachtain’s for a special one-off performance. 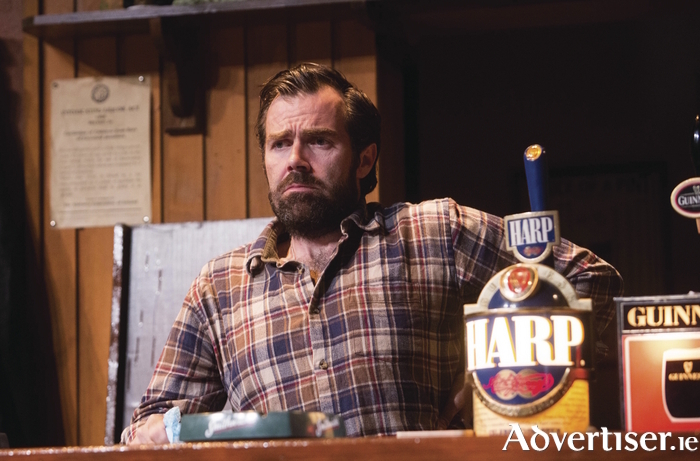 The Weir unfolds in an isolated Leitrim pub as the local men are gather for an evening pint. The arrival of a stranger in their midst – a beautiful woman called Valerie – spurs them to impress her with stories. There unfolds haunting stories of souls past, spirits present, and spectres unforeseen that keep the audience riveted. While both The Weir and Decadent’s production of The Pillowman enjoyed rave reviews and big houses during their recent tours, Flynn reveals the costs of bringing a show on the road have risen steeply over the past year. “We only visited four venues with The Weir last year - Galway, Limerick, Kilkenny, and the Pavilion,” he points out. “There are another 18 venues we would usually serve that are mad for the play and we’ve applied for a touring grant to take it to those regional venues but we won’t know for a while yet if that application is successful. Touring has become so expensive."